Reuseful UK are delighted to announce that this year we are exhibiting at RWM on 12th and 13th September 2018. We will be showcasing the wonderful world of Scrapstores, Creative Reuse and Resource Centres. 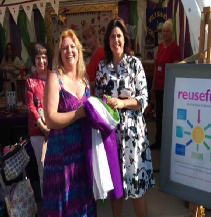 Nikki DiGiovanni our Chief Executive will be presenting at the show and we will also be doing the after show clear up ensuring left over event resources can be reimagined by Scrapstore members. 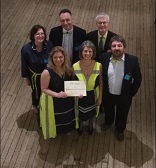 Reuseful UK beat off stiff competition from around the UK to walk away with the Rushlight Resource Recycling Award on Thursday 25 January at The Royal Geographic Society in London. The award recognises Reuseful UK and their project Re:Form which is an innovative relationship with Veolia diverting old uniforms and personal protective equipment (PPE) away from landfill or energy recovery, and creates reusable items through an inspirational back-to-work training programme. Reuseful UK AGM 2017 Invitation has been emailed to members, please check you inbox for booking form and the agenda of the day. Reuseful UK would like to share our huge congratulations to ReCreate Ireland for winning the Best ‘Not-for-Profit’ Organisation at the South Dublin County Business Awards. This is an amazing achievement and helps promotes all the brilliant work that takes place in our Dublin based Scrapstore. 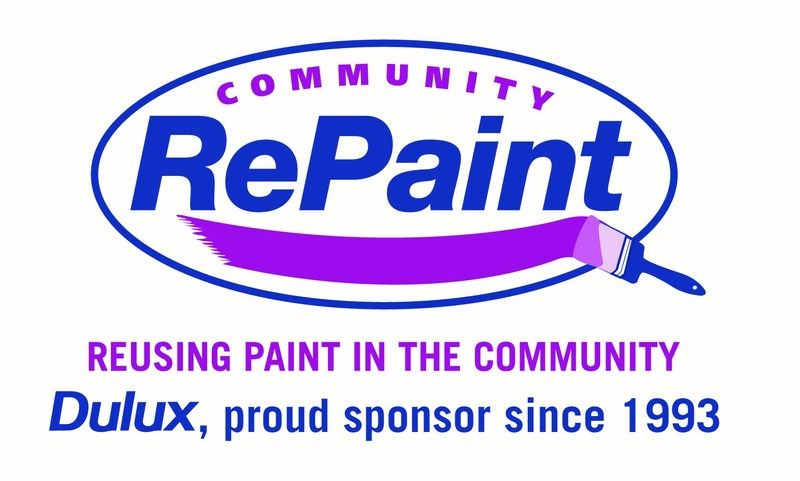 Cambridgeshire Community Reuse and Recycling Network – CCORRN, a local community organisation based in March, Cambridgeshire is reopening its doors at 10am on Saturday the 9th of September after the team of staff and volunteers have given the customer area a much needed makeover. We are pleased to share with you the amazing new that Squirrels Community Scrap Scheme have at long last re-opened their doors.